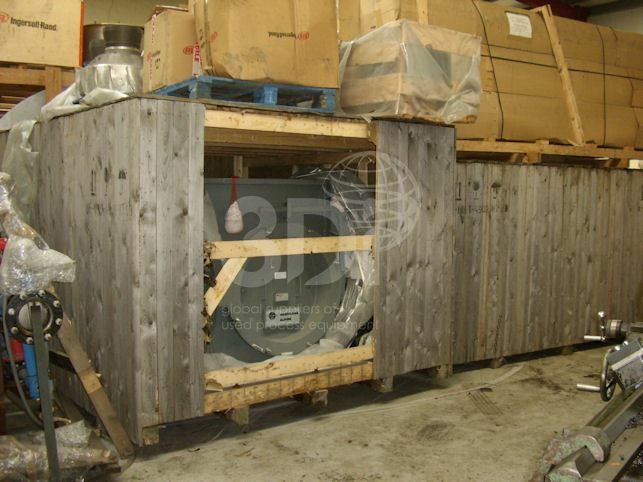 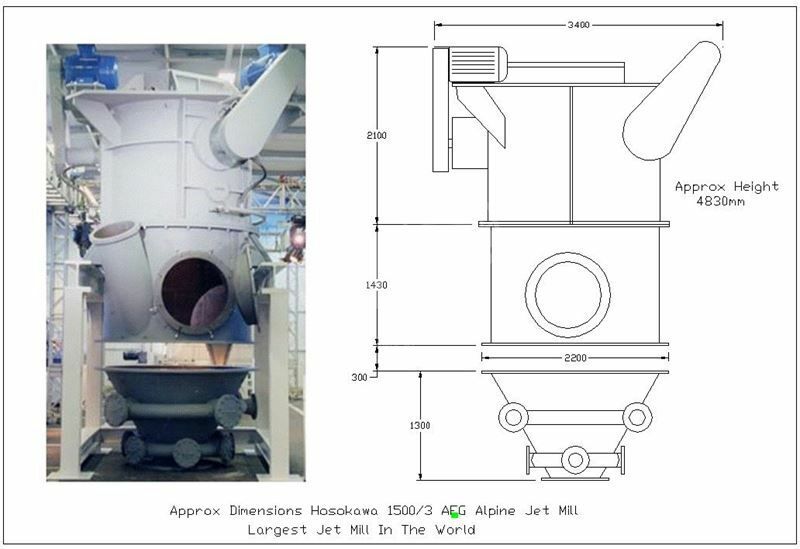 Unused Jet Mill Plant, manufactured by Hosokawa Alpine AG. 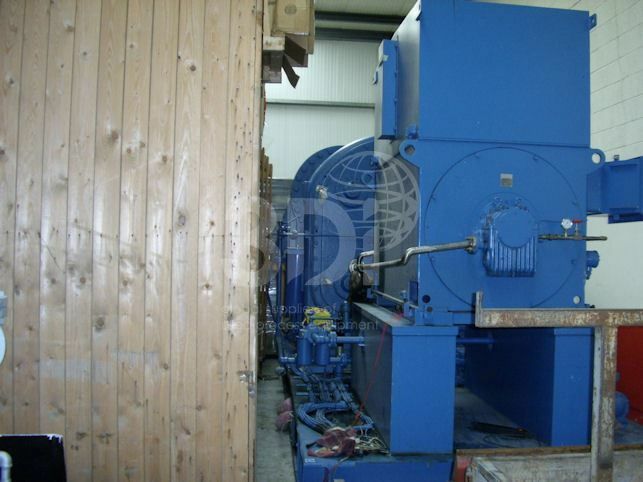 The plant was designed to mill 18 to 24 ton per hr. 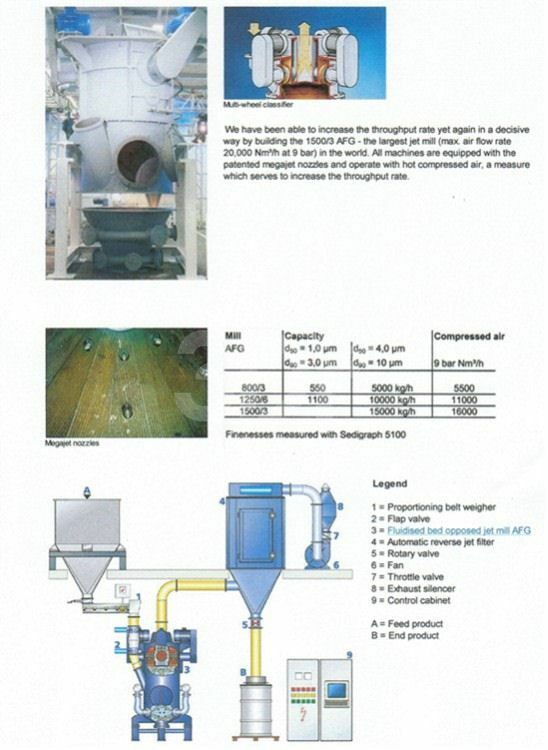 Max air flow rate 20,000 Nm3/hr at 9 bar pressure. 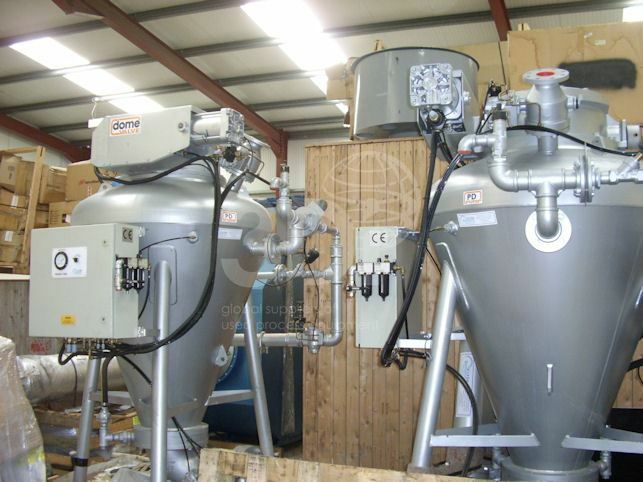 The jet mill can grind any powder that is crystalline or friable form.The plant consists of the following major items of equipment: Fluidised Bed Opposed Jet Mill, model AFG1500/3, Feed Hopper, Reverse Jet Filter, Fan, Feed Valve, Instrumentation & Controls, Compressor 10,000 CFM, 1800kw.